November of 2003 was an eventful time in the York household. After 7 years out of the pastorate, serving only as a professor at Southern Seminary and preaching in different churches as interim pastor or an invited teacher, I missed pastoring. Not only did I miss it, but I also ached to be a pastor again. I can remember a lot of details about that meal, but the one thing that remains crystal clear was that I genuinely liked everyone that I met that night. The discussion was joyful, respectful, funny at times, but always interesting. As we drove home afterward we realized that the Lord had done something both wonderful and terrifying to us: he had made us begin to fall in love with those people. Search committees almost always do a terrible job in the way they handle pastoral candidates. The committee from Buck Run was the lone exception that I had ever seen or heard of. They were kind, thoughtful, never dismissive or controlling. They were candid, open, always willing to tell me the truth about the church and ready to accept the truth about me. Through several meetings and some difficult challenges, God wed our hearts together and Tanya and I realized that this was the will of God. I did not know how the church would respond to calling a pastor who would also be a seminary professor, but all I could do was to be completely candid about what that would mean. In spite of all challenges, On November 23, 2003, the church called me with a 99% vote, and the Lord gave me one of the greatest gifts of my life, the privilege of hearing the saints of Buck Run say, “Hello, Pastor” to me. As pastor and people we have prayed together, wept together, and laughed together–all in the bond of love. When we first came to Buck Run, you opened your hearts to us and received us immediately. Your gift of love and support has sustained us through these 15 years. Here in Buck Run I found three of the greatest qualities that any pastor could hope for in a congregation. First, you believed the Bible and loved Jesus Christ. Secondly, you loved one another with a spirit of unity found in few churches. Lastly, you believed that the pastor was God’s anointed and appointed leader of the church and you were willing to follow me. Never have I asked you to do anything in the name of Jesus that you did not endeavor to do. Never did I have a need that you did not attempt to meet. I simply cannot thank you enough for these fifteen years. 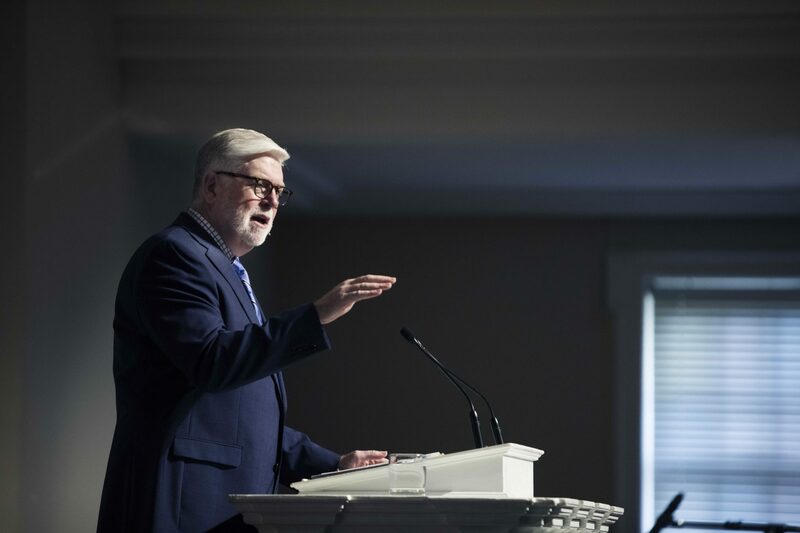 I love you with all of my soul and thank God not only that he called me to preach his infallible Word, but that he called me to preach it at Buck Run.